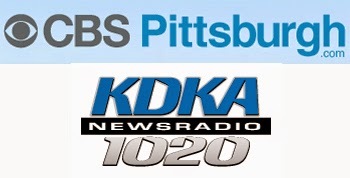 After reading the Pittsburgh Tribune-Review article on the U.S. Ebola threat, KDKA (CBS Pittsburgh) radio talk show host Mike Pintek contacted infection control expert Phenelle Segal, a source in the column, and asked her to participate in a live interview to discuss the ongoing issue of Ebola entering the U.S.
Pintek was particularly complimentary about the article, which he noted was extremely informative and covered a variety of areas related to the first Ebola case in the U.S. (more specifically, in Dallas) and the lack of diagnosis. Phenelle's interview focused on her opinion about travel bans, whether hospitals are ready for Ebola patients (the host was particularly interested in the Pittsburgh hospitals), why processes break down and whether screening at airports would necessarily help the situation. Phenelle shared her thoughts and experiences during the 30-minute interview, which can be heard on the CBS Pittsburgh website.